A hypnotic debut in turn-of-the-century Coney Island, where an abandoned girl collides with a disgruntled m nage of circus freaks Kitty Hayward and her mother are ready to experience the spectacles of Coney Island's newest attraction, the Dreamland amusement park. But when Kitty's mother vanishes from their hotel, she finds herself penniless, alone, and far from her native England. The last people she expects to help are the cast of characters at Magruder's Curiosity Cabinet, a museum of oddities. From con men to strongmen, from flea wranglers to lion tamers, Kitty's new friends quickly adopt her and vow to help find the missing Mrs. Hayward. But even these unusual inhabitants may not be a match for the insidious sickness that begins to spread through Coney Island...or the panic that turns Dreamland into a nightmare. 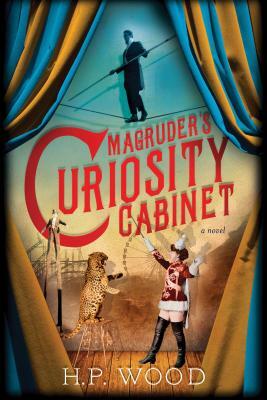 With shades of Water For Elephants and The Museum of Extraordinary Things, Magruder's Curiosity Cabinet sweeps readers into a mesmerizing world where nothing is as it seems, and where "normal" is the exception to the rule.